Double Offset, metal seated Fire-safe valves to API standards. The range is certified Fire-safe to API 607 4th edition, and is available in both wafer and lugged pattern bodies. 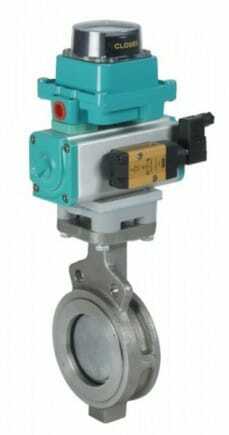 This high performance butterfly valve is suitable for bi-directional flow, and the disc is designed to reduce thermal expansion, thus providing constant sealing performance against temperature and pressure cycling conditions.